"Near metro station with lots of restaurant." "Location fantastic only few meters from Taxim metro station." "Great location very nice staff and helpful , clean and secur." "Very good breakfast nice view and very good location staff w..."
Located in the heart of the city, just a 15-minute walk from the famous shopping and entertainment area Nisantasi, this luxurious Istanbul hotel is within walking distance from Taksim Square and Cevahir Mall is 3 km away, easily accessible via metro. 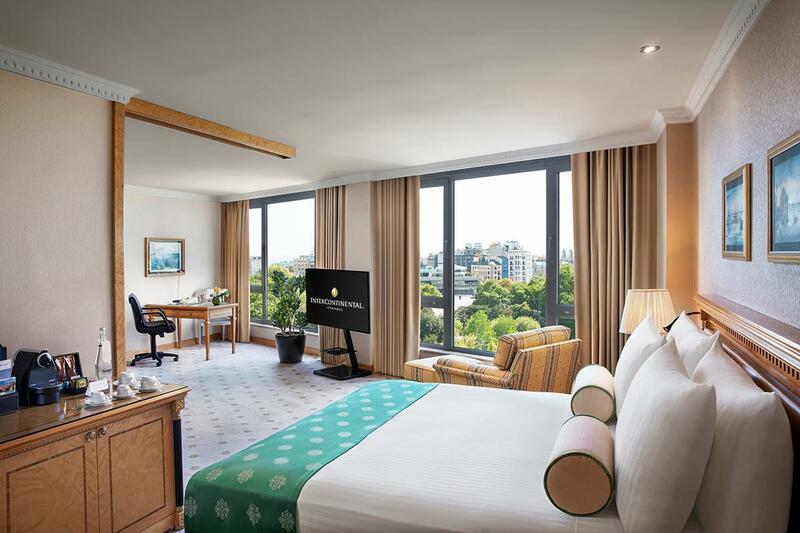 InterContinental Istanbul has air-conditioned rooms with LCD TV. 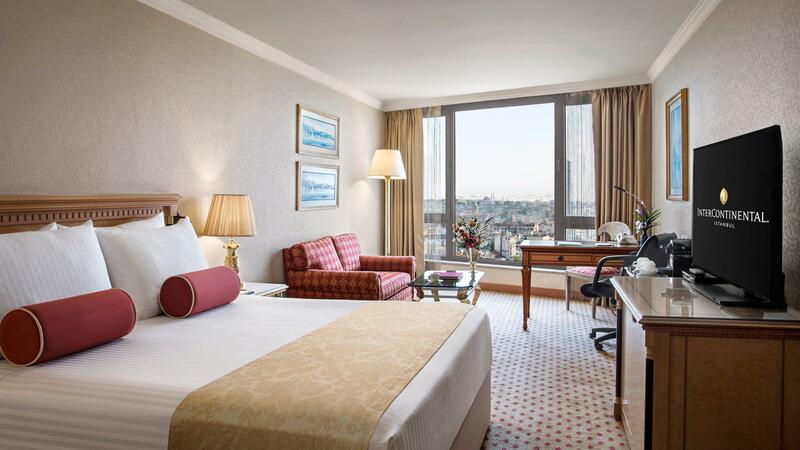 Many rooms offer beautiful views of the Bosphorus and Taksim Square. Academie Internationale de la Gastronomie award winner Safran Restaurant&Terrace offers Ottoman delicacies and traditional Turkish cuisine accompanied with live Turkish fasıl music and panoramic views of the Bosphorus. Veranda Restaurant & Lounge also offers international dishes at a garden. Amandine Patisserie presents delicious handmade chocolates. Guests can also enjoy the finest wines, selective main courses, appetisers and personalized cocktails at the City Lights Restaurant&Bar. The completely renovated Spa InterContinental offers quality time and relaxation with its massage rooms, fitness centre, outdoor pool, facial and body treatments, professional staff and latest technology equipment. 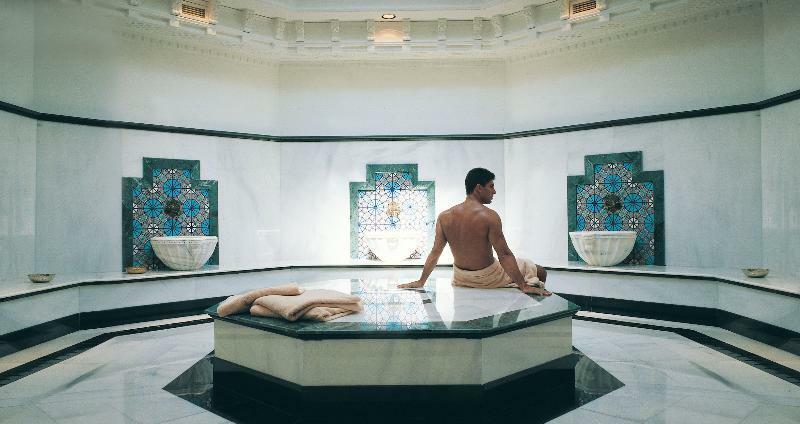 Separate men’s and women’s Turkish bath and steam room options are also available. American Hospital is 1.8 km away, while Acibadem Taksim Hospital is just 1 km from the hotel. You will also find many popular medical and aesthetics clinics in Nisantasi. Taksim Square and the lively Istiklal Street are only 250 metres away with fashionable shops, art galleries and restaurants. Taksim Metro Station is 50 meters from the hotel. Ataturk Airport is 20 km away. "The fitness centre is awesome."